While I was going through our pictures from vacations past I found this review on Firefly from our very first trip to Panama City Beach. Lewis has been going with his family for years now but this was our first real trip together as a couple. Looking back at these pictures not only brought back fond memories of this delicious meal but it also makes me realize how much I have grown as a person since 2011. It might be only two years but I was only in my second semester of culinary school (Lewis was in his third semester of Nutrition school, now he's working on his masters! AHH!) and I hadn't even stepped foot in the industry yet! That's crazy to me! We were babies. Anyway, enough reminiscing, on to the food! You know you're in a fancy place when President Barack Obama has eaten here! 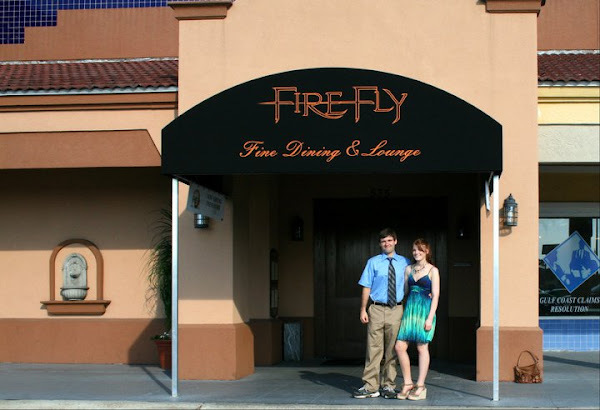 Firefly is located in a somewhat dumpy strip mall and it sure doesn't look like much from the outside, but as soon as you enter the doors you're taken to a land of fine dining the finest of fine dining. 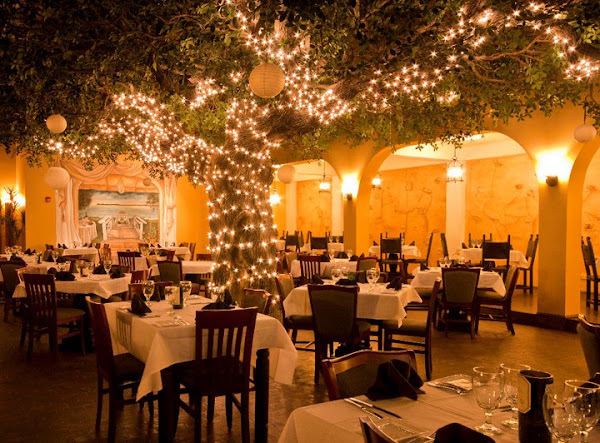 What starts off as a lounge/bar area turns into a restaurant with a magical lit up tree as the focal point of the room (I am convinced that little elves come out of it and cook the food...it's like the savory cousins to the Keebler elves). Despite the fine dining atmosphere, I noticed that most of the waitstaff looked like some of the people I would hang out with, young, edgy with tattoos. Our waiter was super cool and attentive (I hate it when we go to fancy places and the waitstaff never take us seriously because of our age). 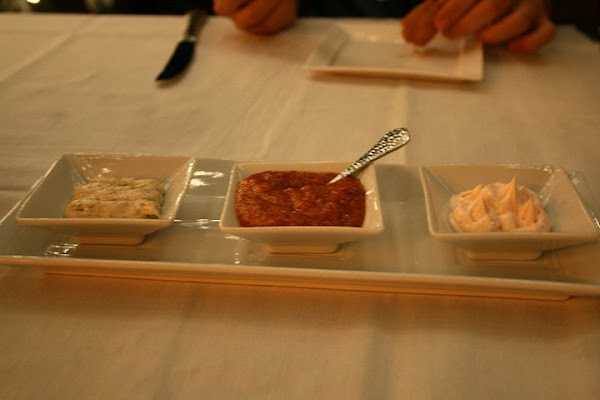 A selection of mushroom cream cheese spread, marinara sauce, and strawberry butter for your bread. They were all delicious but the strawberry butter in particular was out of this world! 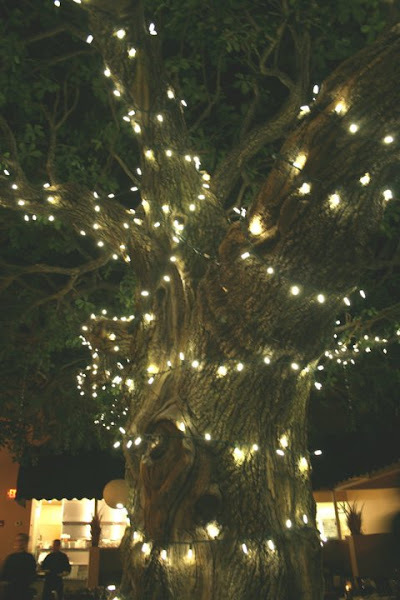 A tree they have in the middle of the restaurant. This picture doesn't do it justice. 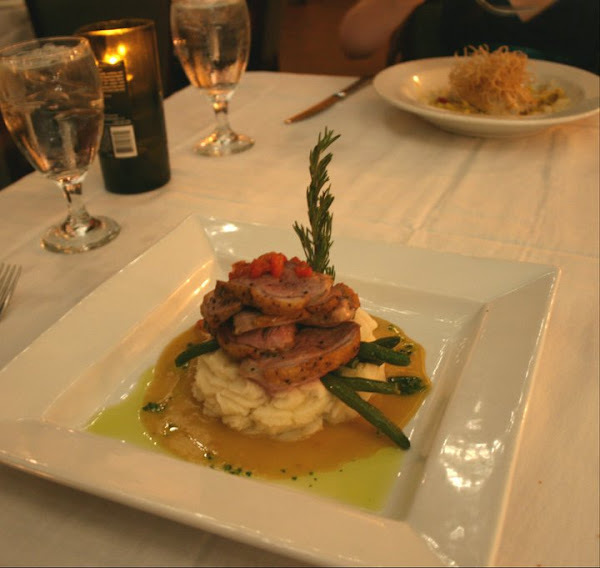 Lewis ordered the pan seared duck with mashed potatoes, green beans and a crawfish tomato onion broth. This was one of his first times having duck and it was phenomenal. It was moist, tender and had almost a sweet element to it. 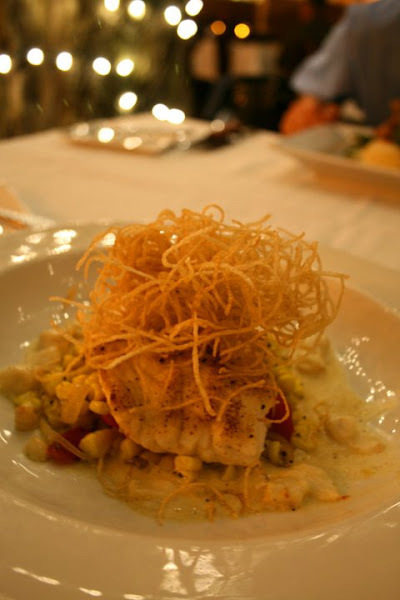 My grilled fish with lump crab sauce, roasted corn and tomatoes with crispy potatoes straws on top. OH MY GOD was it good, I seriously considered slappin' my mama over it! The fish melted in your mouth,the crab sauce actually had chunks of fresh crab meat throughout, and the even the corn was fresh off the cob and roasted to perfection. The potato straws added a necessary crunchy texture to the dish and was a refreshing take on "mashed potatoes." It's been over two years and I still remember this meal like it was yesturday - it's expensive but you get a hearty portion of high quality food. Can't wait to see what places we hit up this year! Two months to go!